Glamorgan will again be without batsman Colin Ingram for their second Championship match of the season away to Derbyshire. Ingram suffered a reoccurrence of a knee problem during the warm-up against Leicestershire. "Initial (medical) reports are that the situation is better than first feared, we're tentatively looking at about two weeks," said head coach Robert Croft. 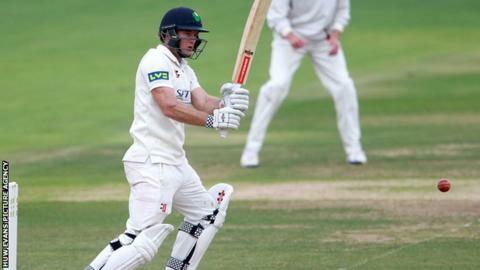 Glamorgan suffered a 10-wicket defeat in their opening game of the season. Ingram was named in the squad for the first Championship match at the SSE Swalec Stadium and was expected to play, but withdrew on the morning of the first day's play. Teenager Aneurin Donald deputised for Ingram, top-scoring with 57 in the second innings against Leicestershire. "It's not ideal on the morning of the game when you lose a player like that," Croft told BBC Wales Sport. "Fair play to Aneurin Donald, he was under pressure from the first innings but I'm really excited about the positive nature of his (second) innings." Ingram, 30, has not played since February after sitting out the closing six weeks of the South African season, partly as a result of what he described as a "knee niggle." The left-hander was Glamorgan's leading run-scorer in four-day cricket in 2015, and Croft is keen to have him back as soon as possible. "We know what a good cricketer he is, he's also a good asset in the field as a good set of eyes and ears," Croft added. Glamorgan play a series of six Championship games in successive weeks at the start of the 2016 season, beginning at Derby on 24 April.